It's not quite a tsunami, but over the past 18 months a wave of Japanese-inspired restaurants have opened across the North Bay. Sebastopol's Ramen Gaijin has grown from a once-a-month pop-up into a destination for fans of Japanese noodles, izakaya (Japanese tapas), sake and Japanese-inspired cocktails sourced from Sonoma County ingredients. 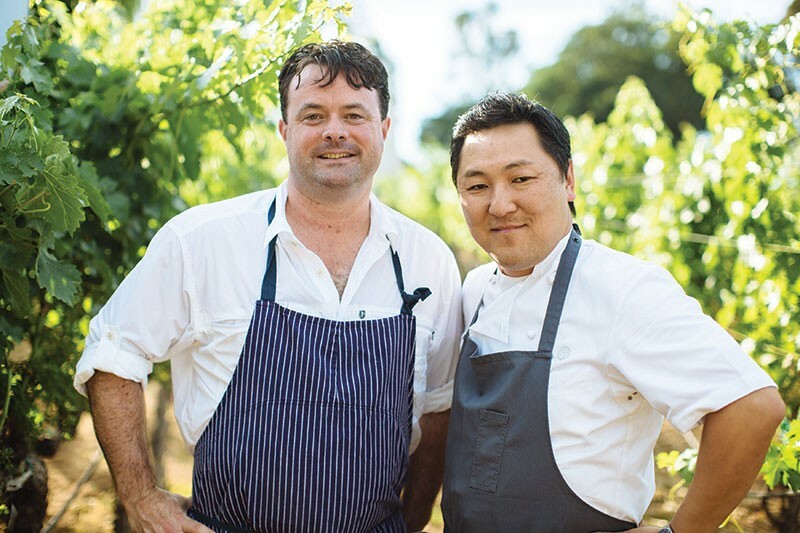 Last month, St. Helena's Two Birds/One Stone opened as a joint venture between chef Douglas Keane and his friend and L.A. chef Sang Yoon. In downtown Napa, former Oenotri chef Curtis Di Fede fed his passion for Japanese food with the opening of Miminashi in May, a high–style izakaya restaurant. That restaurant comes on the heels of chef David Lu's Eight Noodle Shop, also in downtown Napa. The Godzilla looming over the dining scene is Kyle and Katina Connaughton's Single Thread restaurant and inn in downtown Healdsburg. Kyle blends a modernist style with one of the world's most formidable résumés in Japanese cooking. Comparisons to the French Laundry are already being made, even though the restaurant hasn't opened yet. 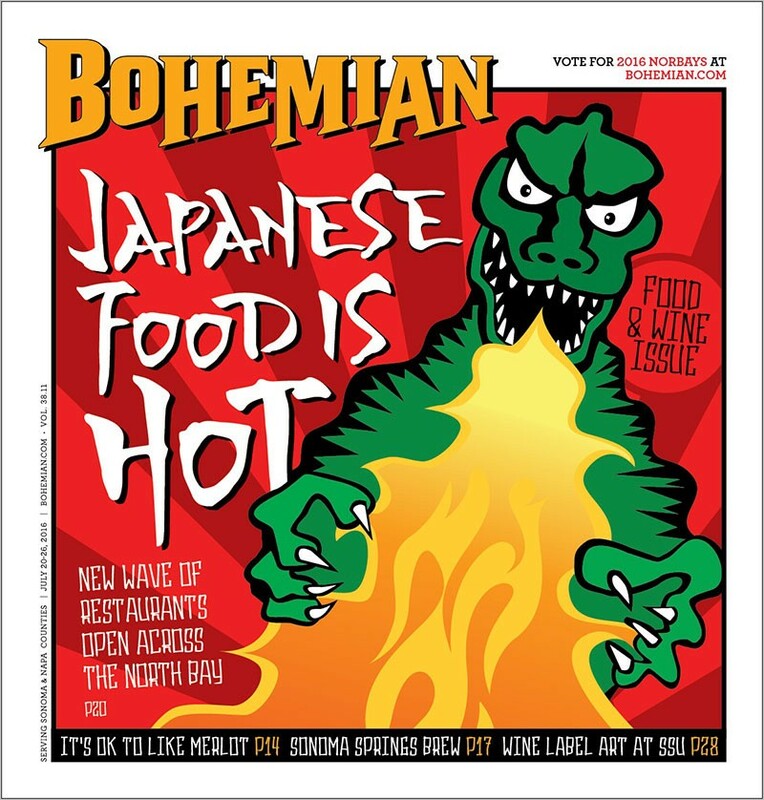 Of course, premium Japanese food isn't new to the North Bay. Sushi Hana has long been an outpost of excellent sushi and sake in Rohnert Park. Morimoto Napa opened in downtown Napa in 2010. Hiro Sone's excellent Terra, in St. Helena, has long been the standard bearer for beautiful, Japanese-influenced wine country cuisine. But this new class of chefs is coming in hot. For some of them, the cooking marks a departure from their Western culinary roots. Ask a dozen American chefs where they'd like to spend a week eating, and I bet a majority will say the same thing: Tokyo. 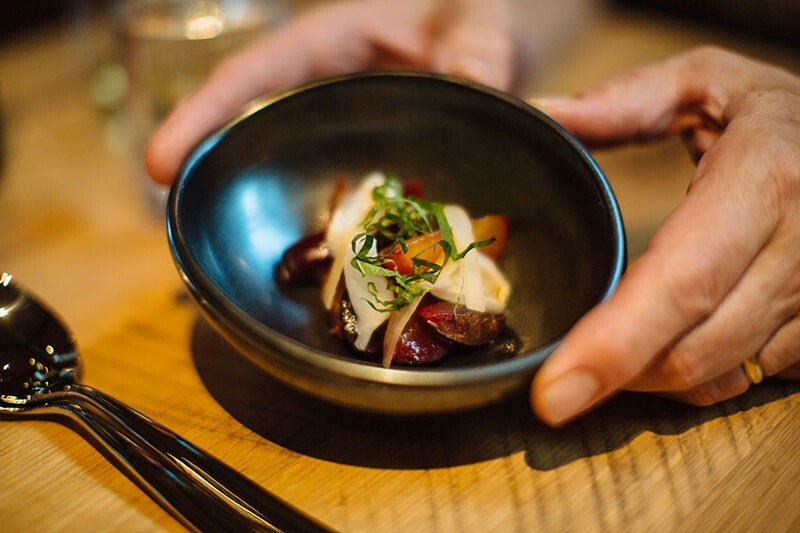 Japanese cuisine's emphasis on technique, rarefied ingredients and complex yet minimalistic aesthetics are irresistible to chefs and diners alike. It makes for an exciting time to be eating out in the North Bay. "There's cool stuff going up," says Connaughton as he surveys the scene. Douglas Keane is best known for his celebrated Healdsburg restaurant, Cyrus. He also ran the short-lived Japanese steakhouse Shimo. Since Cyrus closed in 2012, Keane has focused on opening a new incarnation of Cyrus in Geyserville and running the Healdsburg Bar & Grill with partner Nick Peyton. But ever since he went to Japan on a culinary scholarship in 2007 and later on a fellowship to Kyoto with the Japanese Culinary Academy in 2010, he's developed a passion for Japanese cuisine. Keane remembers sushi restaurants in Japan where all they served was expertly cut fish and rice. No salads. No gyoza. Tempura shops just sold tempura, and the chefs spent a lifetime honing their craft. "There is a dedication to perfection over there," Keane says. Most American chefs are trained in the French tradition, which, at its root, is based on fat and carbohydrates, a stomach-filling combination that Keane has veered away from after immersing himself in Japanese food that utilizes umami, the glutamate-rich flavor found in things like seaweed, shiitake mushrooms, tomatoes and Parmesan cheese that give diners the sensation of "fullness" and "deliciousness" without loading them up. TWO BIRDS ARE BETTER THAN ONE Doublas Keane, left, and L.A. chef Sang Yoon have teamed up to open Two Birds/One Stone, and upscale yakitori restaurant in St. Helena. Keane remembers eating 20-course meals in Japan that didn't put him into a food coma. "I would walk out feeling amazing," he says. Keane became good friends with Sang Yoon after they appeared together as contestants on Top Chef Masters. The two decided to team up and open a yakitori restaurant, but they didn't have a location in mind at the time. "We both have a serious love for Japanese food," Keane says. Yakitori, in its classic form, is skewered chicken (thigh, skin, meatballs, gizzards) grilled over bincho-tan charcoal in pubs. To make the concept fly in wine country, Keane and Yoon knew they'd have to elevate the menu above pub-grub fare. When they got the opportunity to open in the vacant restaurant space adjacent to Freemark-Abbey Winery in St. Helena, they jumped on it. It's a stunning building with high ceilings, stone walls and lots of light. The food is pretty great, too. There are more than a dozen small plates, like sashimi with compressed melon, warm duck egg custard and green onion pancake. The stars of the menu are the eight yakitori items. I love the juicy and meaty aged duck breast with pickled cherries, turnips and spicy tamarind glaze. Good, too, were the head-on prawns served with charred limes and sudachi salt. This being the Napa Valley, mention must be made of the eclectic wine list. All the wines by the glass were made for the restaurant by local winemakers and delivered in single barrels. When they're gone, they make way for another bespoke barrel. The flipside of the list has bottles from outside the States. Keane says he hopes the restaurant will give diners a reason to drive up from Napa and Yountville. "There's really a lack of Asian food here," he says, but is quick to add that his restaurant is not classically Japanese: "It's a California restaurant inspired by Japanese flavor." Because he's not bound by tradition, he and Soon are free to be creative. FRUIT BOWL Plums, apricots, cherries, pickled ginger and shiso mix it up in one of the inspired lighter dishes at Two Birds/One Stone.